Limited edition pieces by some of the biggest names in contemporary art will go under the hammer in the Cotswolds for charity next month. Prints, photographs and original paintings by pop artists Sir Peter Blake and Sir Eduardo Paolozzi, sculptor Lynn Chadwick, and wildlife photographer Steve Bloom are included in the auction, which is being held in aid of Coln House School in Fairford. 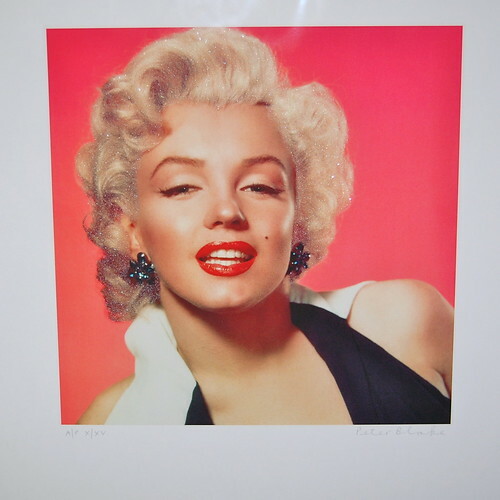 Among the highlights of the 44-lot auction is an artist’s proof of Diamond Dust Marilyn, by Sir Peter Blake, a study of Marilyn Monroe sprinkled with diamond dust – diamonds being a girl’s best friend, of course. The proof is numbered 10 of 15 and is signed by the artist. It carries an estimate of £500 to £800. 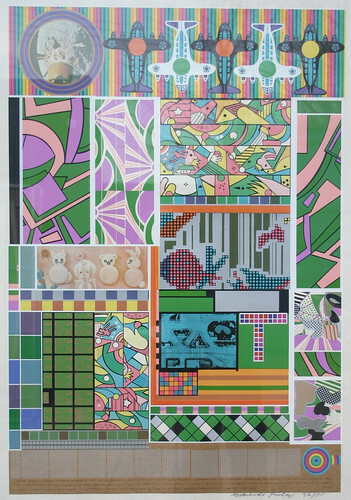 A limited edition silk screen and mixed media print by fellow pop artist Sir Eduardo Paolozzi – Sun City (1967) – carries an estimate of £300 to £500. The original can be found in the Tate Collection. 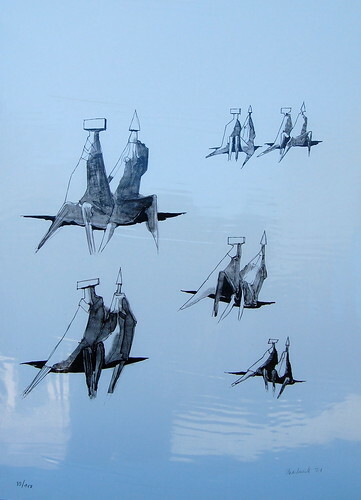 Lynn Chadwick was probably best known for his angular metal sculptures, but a limited print of drawings named Pangolin, after the Gloucestershire foundry that produced much of his three-dimensional work, is true to his style – the seated figures have angular metal heads. The print is signed by the artist and numbered 89/150 and is expected to achieve between £150 to £250. Chadwick, of course, made Gloucestershire his home, and work by local artists of repute is well represented in the sale, including Stroud-based Nicholas Bechgaard’s oil painting of Gifford’s Circus founder Nell Gifford (estimate £100 to £150) and Painswick illustrator Andy Lovell’s limited edition silk screen print Remnants of Snow Towards Slad (estimate£80 to £120). Proceeds from the auction will go to Coln House School, and the pupils have not let their own artistic endeavours go unnoticed. The lettering for the appeal brochure – dubbed the Coln-Abet – was designed by the students, and prints of each letter, produced on handmade paper, are available to buy. Coln House is a state-funded school for children with exceptional special needs, including learning, behavioural and psychological problems. It is the only weekly boarding school in Gloucestershire that caters for children with such needs. The appeal has an open-ended target, with investment priorities including the extension of the art room for painting and pottery, creating more single rooms for borders, and installing computers in classrooms. The auction will be held at Moore Allen & Innocent in Cirencester on Thursday, April 28 from 10am as part of the auctioneer’s wider Selected Picture Sale, and the firm is waiving its commission fee for the school.